The San Diego region can expect cool, foggy mornings throughout the week as a low-pressure system deepens the marine layer. The National Weather Service forecast calls for fog spreading through the inland valleys, low clouds, and highs in the low to mid 60s through Saturday. Nights will be colder, with temperatures falling into the low 50s. “A low pressure trough off the coast will drift inland through Monday, deepening the marine layer, and spreading clouds and cooling well inland across the valleys and onto the lower coastal slopes,” the weather service said. Forecasters said skies would gradually clear after mid-morning each day this week. The morning fog will gradually lessen as a high-pressure system over the eastern Pacific begins to warm the region. 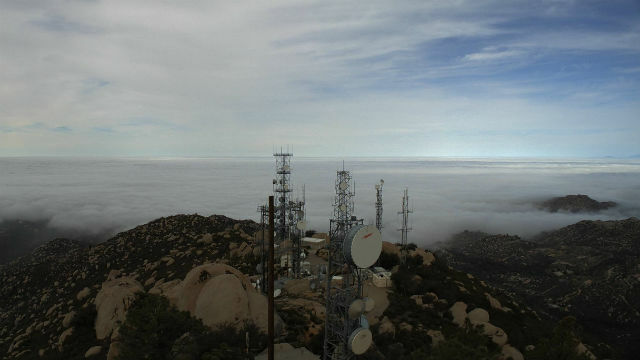 “The marine layer will become gradually shallower with night and morning coastal low clouds and fog not spreading as far inland,” according to the weather service. No significant precipitation was expected for the next week in Southern California, though the northern part of the state could see some rain next weekend.